Like presumably most diehard fans of Australian genre-fiction, I was eagerly awaiting the release of Mad Max: Fury Road (2015). The hype had been built long before it hit the screens: George Miller had dropped tantalising titbits of information during its production, and the multiple trailers held out hope of something that was not only fast and rugged and thoroughly ‘Mad Max’, but also somehow more real than other contemporary blockbusters. Expectations were high, and no-one wanted another pale imitation of a cinema classic masquerading as a remake/reboot/pseudo-sequel a la Star Trek: Into Darkness (2013), Conan the Barbarian (2011), Predators (2010), Prometheus (2012) or Matthijs van Heijningen’s version of The Thing (2011). To cause us further worry, fans of Australian genre-fiction cherish Miller’s original Mad Max series. Its lived-in world, deeply-set sense of place, larrikin sense of humour and almost-punkish DIY ethos are ‘Australian-isms’ that we were all proud to see enshrined on screen in such fresh and original ways, and none of us wanted to see Miller tarnish this legacy. I’m happy to say that, in what might just be a first, my expectations were exceeded. 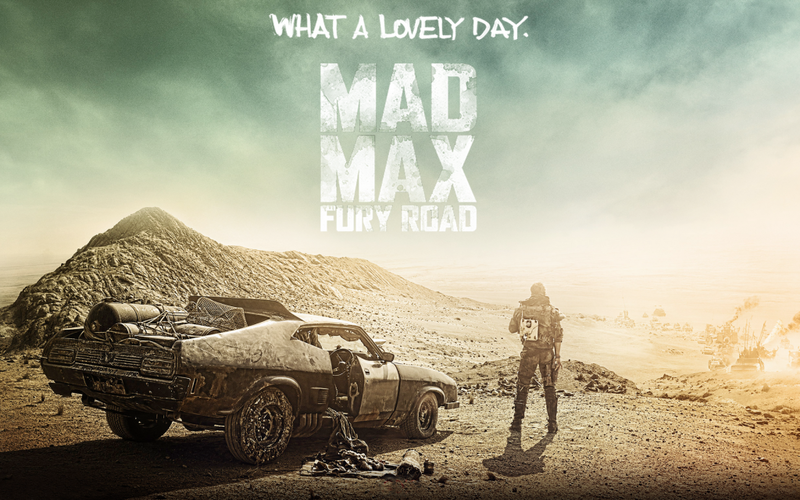 In fact, I believe that Mad Max: Fury Road might just be the best genre film in a long, long time. But not entirely in ways that I had foreseen. The first thing that differentiates Mad Max: Fury Road from most other contemporary genre films is the way in which it weaves its ‘action’ into the narrative (and vice-versa). Too often, action scenes seem to exist solely for their own sake: we seldom see character revealed or story told through action, and the big set-pieces that pad out so many genre films usually serve little narrative purpose. Think of the ‘Metropolis Battle’ in Zack Snyder’s Man of Steel (2013), the ‘Sieges of Zion’ in the sequels to The Matrix (2003), any of the action scenes from Michael Bay’s Transformers series (2007-20014) or any of the space battles in the Star Wars prequels (1999-2005). These types of scenes and set-pieces present themselves as little more than spectacle; the narrative usually stops dead along with any sense of momentum, and we the viewer are suddenly disengaged from the film – we might look upon the images with something approximating awe, impressed by the CGI magic unfolding before us, but this awe comes at the expense of our connection to the characters and the story. Thus disengaged, we become far more aware of everything that exists outside of the film, and it consequently becomes far less immersive. Mad Max: Fury Road avoids almost all of these pitfalls: most of its action exists either as part of the story or to push the story forward. Its narrative never grinds to a halt to let a pointless visual suddenly dominate and shout: ‘I am spectacle, behold!’ Instead, Mad Max: Fury Road is pure spectacle from beginning to end, spectacle that drives and frames the story. This is mostly because of Miller’s genius at fusing narrative and action. By structuring Mad Max: Fury Road around a chase without end, he ensures that there is always a sense of forward momentum (the chase itself) as well as a confined location (the War Rig), which is almost constantly under attack and home to a number of different characters. The chase begins in the first scene, and Miller initially withholds the reasons as to why it is happening. Instead, we are forced to share Max’s perspective and position, and are bundled up and swept along by the momentum of the chase. This engages us straightway as it provokes questions in us: What’s happening? Why are those particular characters chasing those particular characters? What exactly has been stolen, and how does it impact on the established world? Over the next half-hour, answers are slowly revealed, until Max arrives at the War Rig and certain things fall into place and the next phase of the story and the chase begins. Here, the War Rig ‘concentrates’ the characters’ interactions within it; with nowhere else to go, their conversations and interactions feel natural, and reveal narrative detail and backstory and so on. Exposition like this tends not to feel forced, as we can all relate to similar situations that provoke unexpected and character revealing conversations (road trips, family holidays, long distance house-moves). However, the fact that the characters confined in the War Rig are always either under attack or under impending attack means that some of these conversations and interactions necessarily occur during the attacks. And so the two become one as the rest of the film plays out, action and story occurring simultaneously, often with each informing the other (for example: a freshly talked-about memory triggering an unexpected behaviour, or the need to shoot straight revealing a newly learned understanding). The second thing that really makes Mad Max: Fury Road stand out from the crowd is the depth of its world-building, which is manifested in the sense of a wider ‘Mad Max’ universe that exists beyond what we see in the film. This is something that is all too often neglected in genre fiction, as much of it instead concentrates only on the world inhabited by the protagonists and antagonists, with the story’s wider universe only shown if it directly affects the characters and their arcs. This is to the stories’ detriment, as it can ‘remove’ us from the story because we begin to wonder how the world we’re shown fits into its wider universe. In the absence of any evidence of a wider universe, we then find ourselves less immersed in the story because its existence as a ‘limited’ piece of fiction becomes apparent. This is doubly true of post-apocalyptic fiction, as the universes therein pose very specific problems: Where do food and water come from? How are these neo-societies structured? 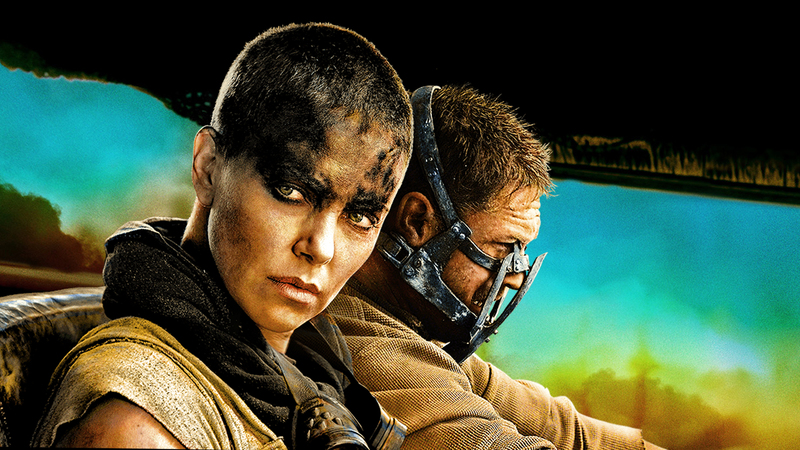 Once again, Mad Max: Fury Road avoids most of these pitfalls, and it does so in the best possible way. Rather than making Mad Max: Fury Road’s wider universe obvious and obtrusive, Miller subtly hints at its existence, providing just evidence to keep us within the story. Just a few examples include the existence of The Bullet Farm and Gasoline Town, which are mentioned but never shown, and hint at an established trade network with The Citadel; and the eerie ‘Crane People’ that inhabit the swamplands, which provide a glimpse of a society seemingly completely disconnected from the previous settlements. However, Miller also ensures that these hints of a wider universe are complimented by a thorough approach to building the world that we do see. This ensures that the ‘logic’ of Mad Max: Fury Road’s narrative is almost watertight, which once again keeps us ‘within’ its world. And even when world-building story features aren’t properly explained or are only alluded to, their sheer existence allows us to more fully suspend our sense of disbelief. We see this time and time again: the ritualistic behaviour and appearance of the War Boys; Immortan Joe’s status as a pseudo-emperor; the brief glimpses of hydroponic and outdoor gardens in and around The Citadel; the offhand remarks regarding the aquifer beneath it; the classist structure of its society; the existence of Gasoline Town explaining where their fuel comes from. These things tell us that the world of Mad Max: Fury Road and the societies within it have structures and hierarchies; they have ways of feeding themselves and access to water; they have ways of travelling and a trade system. In other words, they are societies that are a warped reflection of our own, and because we understand the logic by which they operate, we can once again embrace the story rather than question it. The third thing that really makes Mad Max: Fury Road stand out lies in the fact that women drive its narrative and are, along with Max, central characters that possess their own agency. Some people have also made this a controversial aspect, with certain hairy-knuckled critics decrying the fact that ‘Max gets ordered around by a woman’ and that he functions more as a co-main character than an out-and-out hero. These criticisms occur despite the fact that in both The Road Warrior (1981) and Beyond Thunderdome (1985) Max was hardly the one who drove the narrative forward. Instead, to prolong his own survival, he allowed himself to be ensnared in the schemes of others, just like in Mad Max: Fury Road. However, Miller takes this process further by ensuring that in Mad Max: Fury Road, the schemes that Max is ensnared in are thought-up and carried out by women and for women. But this doesn’t make the film a feminist critique or mean that men’s enjoyment of the film is somehow diminished. Firstly, Miller’s weaving of feminist thought-lines into the narrative is subtle and never allowed to overshadow the central story or the thrill and momentum of the chase. 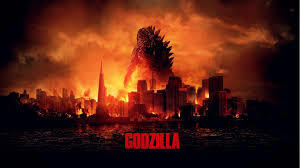 Secondly, because the film is so defiant in its own approach, and because its world has been so thoroughly built and its story and action are so well intertwined, the story of these women feels like a completely ‘accurate’ story within the confines of the film’s universe, and it occurs with enough momentum and rawness to make it seem authentic. It doesn’t feel forced or faked, but ‘right.’ And this is something that not enough genre films do. Too often, men’s stories seem to dominate the narratives of genre fiction, and it seems that this is sometimes because many writers and creators aren’t prepared to think far enough outside the box to posit women-centric stories being the focus of their imagined future worlds. As Miller shows, a good story told well is something magnificent, no matter whether it’s a story about men or one about women. These aren’t the only reasons why I think that Mad Max: Fury Road might just be the best genre film in a long, long time (a lack of space prevents me from continuing, and such is my excitement that I could just go on and on). But if your appetite needs further whetting, I’ll just quickly say that you should also look to the maniacal glee that Miller pours into the film (yes, that really is a truck carrying drummers and a guitarist and a wall full of amps, whose job is to whip the War Boys into a frenzy); and the sheer rawness that comes from what’s happening on screen being almost completely real (the little CGI that was used was mostly reserved for backgrounds and scenery); and the deft homages to the original trilogy (The music box! The hidden weapons! The fizzing shotgun! The handcuffs and the saw!). Or just go and see it. You won’t regret it.